Most APIs support a company's product, like how a variety of applications can access Twitter content. There's a new breed of API that isn't supporting a product, but instead supporting the entire business. In these cases, the API is the product and the product helps developers solve a problem, which means developers are happy to pay. 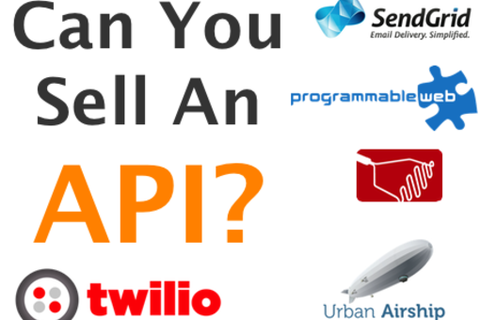 Twilio helps developers write voice and SMS applications. Urban Airship specializes in push notifications and geographic databases. SendGrid makes sure transactional emails make it to their recipients. The panel will discuss dos, don'ts and opportunities for this new type of API-based company. Adam DuVander is the author of Map Scripting 101 and Executive Editor of ProgrammableWeb, the leading resource for open Web APIs. He helps developers and decision makers navigate this new, connected web and covers popular platforms like Facebook, Twitter and Google Maps. You can catch Adam speaking at many web industry events, such as O'Reilly's Web 2.0 and Where 2.0. In addition to writing and speaking, DuVander is also an active contributor to the open source mapping library, Mapstraction. Previously he wrote for Wired.com's web developer resource and dug deep into location data with Sperling's BestPlaces. Ben Standefer is the Location Program Manager at Urban Airship. He's a startup engineer at heart, having been an early engineer at Digg, Eventbrite, SimpleGeo, and a founder at fantasy sports startup FantasyBook (acquired, now part of Yahoo! Sports). He is currently helping publishers and developers send highly relevant push notifications in apps where mobile users triple opt-in (download app, allow push notifications, allow location). Ben attending the University of Texas at Austin and lives in San Francisco. He enjoys running marathons, acoustic renditions of Taylor Swift, ping pong, and snowboarding. Delyn Simons heads up developer outreach at Mashery, where she and her merry band of evangelists engage directly with Mashery's growing network of 135,000 API key-wielding developers. Mashery's API ecosystem also includes 150 businesses looking to partner with developers inside and outside the walls of their companies, including Klout, Best Buy, USA TODAY, Associated Press, and The New York Times. Mashery offers API management, services and strategy for companies that are transforming their products into platforms. Prior to Mashery, Delyn worked at eBay, CMP Media, Insero and Well Engaged/The Well. She is addicted to Bikram yoga and SF food trucks. Rob Spectre is a punk rock technolologist having a barrel of monkeys on the Internet. Doing just about anything for a good laugh, Rob is an ardent support of open source software and creative commons art, the startup scene in New York and every professional sports club from Boston. Previously working in network and software engineering roles at SugarCRM and Boxee, Rob serves the Twilio developer community as an evangelist and obscenely loud cheerleader. Tim is leading the SendGrid developer relations team as they build a community to help developers and startups tackle big challenges and spark innovation around email as a platform. He also helps bring hackdays to cities across the map as a co-organizer of API Hackday. Beyond SendGrid, Tim helps accelerate the startup community in Boulder, CO, as producer of Boulder Beta and community volunteer at TechStars.